The biggest mistake administrators make is not getting to know their professionals. Often based on the decisions you make, things you say in meetings or even off handed comments you make it is clear to Speech Language Pathologists that you have no idea what we do, how knowledgeable we are, the resources we need to do their job better or even areas we address. When making big decisions especially those that involve procedure get your staff involved. You might be surprised at what your staff can offer. Teachers and other professional staff such as SLP’s can often be a feather in your cap if you listen to them rather than immediately disagree with them. Learn the roll of every staff member and professional in your building or school. You never know when someone might have special training or experience to get you through a rough situation. Listen to what your staff has to say even if it’s an opinion. 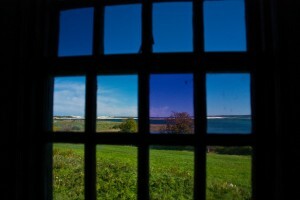 Successful administrators and school boards cannot have a myopic point of view. I’ve seen this happen and it does not create a strong, successful school system. SLP’s are extremely knowledgeable. Our expertise goes beyond articulation therapy. We have training that goes way beyond academics. We know how the brain and body function together. We can pick out specific difficulties in children that can make life long differences if not remediated. We know about auditory development (not just hearing) and what happens to students who have difficulty with auditory processing, discrimination etc. We know immediately when your school system has a poor phonics program. We work on language development with severely autistic children, children with non-verbal learning disabilities and everything in-between. We work with children who have specific learning disabilities with average cognitive skills and those children who are severely learning impaired with low cognitive skills. Unless you’ve studied higher level language development you don’t have a clue it’s missing until it is almost too late. This list only hits the tip of the iceberg. I could go one and on ….. but I think you get the point. Get to know you SLP’s and other professionals. Ask the questions and listen to them. It will only make you a better administrator. If you are thinking about your personal “smart goal” for the next school year you might want to check out my site on Teachers Pay Teachers. A few years back the SLPs in my district were asked to put together a short in-service for teaching assistants about the role of the SLP in schools, students we work with and how they can support language development in the classroom. This was to satisfy one of our “smart goal” requirements. Since I did put a little bit of work into it I decided to make it available on TPT. The in-service is titled Speech and Language Services In Schools In-service for Teaching Assistants. It is made up of a presenter’s packet and a packet for participants. The in-service is appropriate for all levels through middle school. When I presented this in-service I supplemented with generic guidelines for over language development/language expectations based on the ages the participants were working with. It is a quick and easy in-service. Administrators are always looking for appropriate in-services for assistants/paraprofessionals. The other “smart goal” activity I presented was to write a monthly/bimonthly blurb in the school newsletter on language development and what parents could do to engage and encourage their child’s language. Several of these can also be found in my TPT store, The School Speech Therapist. They are available in Word so they can be edited to fit your newsletter or if you have other words of wisdom. I would love to hear about other smart goal ideas. So many SLPs think they have to reinvent the wheel or take copious amounts of data to achieve their smart goal. Reality is it does not have to be that challenging and there is no reason not to share ideas. One year many of my students had an objective to share 1-2 experiences. I made that one of my student smart goals, that every student would share experience information during each session. (They also had to show that the listened to each other by retelling others experiencesJ) That was so easy to keep track of and that’s how we started therapy. I would love to hear about other personal and student based smart goals that have worked well. 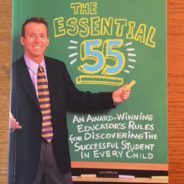 I was dusting some of my bookshelves and found this book The Essential 55 by Ron Clark. I remember being very impressed with this book back in 2009 and even wrote a book review. Remember something is a few years old doesn’t mean it isn’t very good or passe. Common sense and good manners go a long way. This book went beyond focusing on successful students (which seems to be the only focus these days)…it focused on creating successful people. I’m always on the look out for common sense ideas that enhance more than just academics. In my field of Speech Language Pathology, pragmatic skill development is as important to us as receptive and expressive language development. Pragmatic skills are the social speech skills that help us become effective communicators, critical thinkers and problem solvers. People who are not strong students academically can do well in life if pragmatic skills are well developed and expectations are high. I recently picked up the book The Essential 55, An Award-Winning Educator’s Rules for Discovering the Successful Student in Every Child, by Ron Clark winner of the 2001 Disney Teacher of the Year Award. The title caught my eye, I see so many kids that are bright but seem to be lacking the tools for success. In the Essential 55, Ron Clark gives his opinion on the 55 rules that can make every child successful as a student. His rules are not on the order of study more, read more or stay after school for help. Clark’s rules are rules for life. The focus of the rules is on enriching pragmatic awareness, improving pragmatic skills and expecting basic etiquette. Not to mention his rules make sense. Mr. Clark suggests that you tell/expect children to say, “Yes sir” and “no ma’am. He says it set the tone for the kind of respect he expects from his students. For him a nod of a head or a “yeah” is not good enough. I sometimes feel the child/adult relationships, especially in schools, are too casual. This is great tool for kids to have, saying, “yes sir” and “no ma’am” usually makes a very good impression on others. Eye contact is so important in communication. When you make eye contact, you are attending to and acknowledging the speaker. From my perspective, eye contact is also important because without eye contact you miss many of the non-verbal cues that clarify messages. Plus it’s polite. When a child’s disability effects their ability to make good eye contact, I spend a lot of time trying to get eye contact to the best level possible. This is an excellent habit to get into. Again, it shows people you are listening and interested. This is a good foundation for developing good conversation skills. This is an excellent suggestion and should jut go without saying. However, we all need reminders to do this from time to time. How many times have you said to yourself “I should have helped……..”, when regretting that you did help someone out. This one goes in effect at my house today. We all seem to be lacking in that lately. Recently, one of my very disabled students in the middle of a tough moment said to me “Stop being nice to me!” When I responded with a smile “No, I can’t do that, I am just a nice person”, he was so taken back by my kind response he calmed down almost immediately. A little kindness actually made a tough situation easier and almost humorous for me. Mr. Clark rewards his student’s often but asking for a reward is out of the question. He feels students should strive to do their best all the time not just for a reward. He states that in the real world rewards are not always given for a job well done. He feels that that this rule helps kids appreciate their efforts over their rewards. He wants the kids to feel safe in school and know that he will stand up for him. Kids should never have to put up with bullying in school (we would not expect or put up with bullying at work). A big step to preventing bulling is to empower children to report bullying incidents since most happen out of earshot or view of adults. If you notice Ron Clark’s rules are not just school or student rules they are rules for life. It was hard to pick just 6 to highlight. I would like to tell you more of them but you will just have to pick up his book. With the Essential 55, Ron Clark has developed a “hidden curriculum”. A “hidden curriculum” is defined as the rules we all know but are never taught. I could see his Essential 55 presented weekly or expanded and presented daily at announcements instead of (or in addition to) “word of the day”. This is a good read for both teachers and parents. The reality is if you expect good things from kids and are willing to teach them, they usually deliver. Just renewed my liability insurance…..don’t forget yours! Over the years I’ve had a habit of forgetting to renew my liability insurance. Now I just put it in my calendar and keep the bill with my personal bills. Trust Risk Management Services made renewel very easy this year letting me renew on line. Since I incorporated this year and started a private practice I did have to make some changes but usually the renewal is straight forward. While I’ve never needed to use my liability insurance I have carried it most of my professional career. Sorry here is my soap box…If you don’t carry liability you really should. Schools, clinics and hospitals all carry insurance that will cover you but in this very litigious world you can be sued personally. My fee for part time work was right around $125 which makes it very affordable for a piece of minds. Accommodations are they really that effective? Looking at some recent IEPs I would think the answer is yes. I know I still write a lot of accommodations. My reasons are because I know I either don’t have the time to follow up on every thing during the limited weekly sessions or there are things I want to address (and do address) that just can’t be measured easily. Now I know most of the accommodations are related to testing but I have to ask are those accommodations being followed every time a test is given. With 20-30 kids in a classroom I seriously doubt it. I actually worked in one school where they though the accommodations I presented were only suppose to be followed in PE and other specialists. I set them straight but the Harvard educated program manager did not believe me. I think the biggest problem with accommodations is that it gives the parent and student the false sense that all will be well with accommodations. I have never understood why we are not front loading kids with specialized services when they are little but that is a topic for another time. 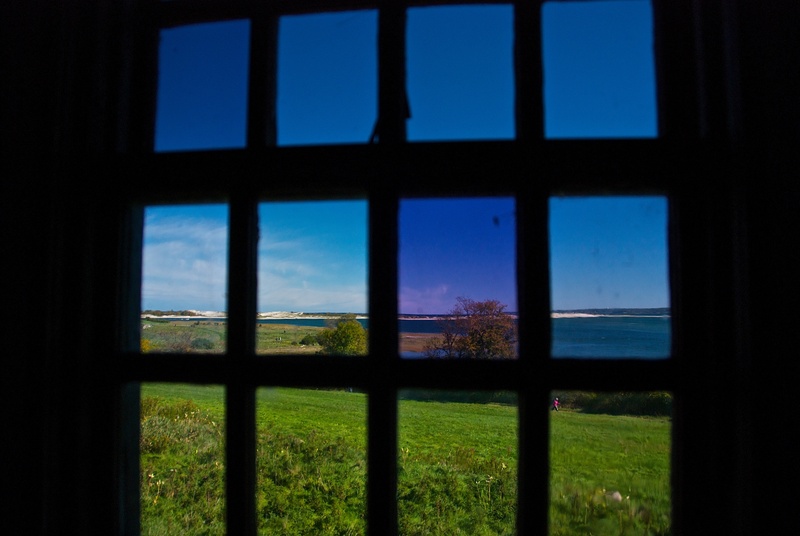 So what are your go to accommodations for you speech and language students? Who follows up on if the accommodations are being used? How do you measure if the accommodation is helpful or not? Do teachers come to you looking for help implimenting accommodations? Does anyone feel the same way I do that accommodations are taking the place of specialized instruction? The second part of her title provided a little more explanation regarding whom the book was written for but still seemed a little incomplete to me. People who are not Speech Language Pathologists might ask Speech and Language what? Parents might not know immediately that it is written for them. 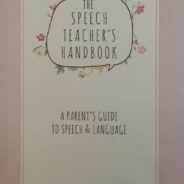 Getting past the title, this little book contains a lot of good information for parents on how to foster speech and language skills with their little ones. Ms. Dresner’s guidance and explanations are clear and concise. There is a nice little summary at the end of each chapter. Some easy to understand speech and language developmental norms are found at the end of the book. A seasoned SLP might look at some of Ms. Dresner’s suggestions and say that most of her information is just common sense. However, I’m seeing more and more older students who can’t name body parts/common objects, have poor listening/memory skills and produce short sentences so some parents out there do need this information. I’m giving thumbs up on this book. I think it would be an excellent resource to give out either to early intervention clients or as a welcome to daycare packet for little ones. Day care teachers could read this book as a refresher and daycare assistants could use this book as continuing education. Ms. Dresner has put together some wonderful ideas for simply interacting with your child through out the day. This book is not just for children with speech and language delays but for typically developing children as well. This book will “Help You Help Your Little One” which I believe was Ms. Dresner’s goal when she sat down to write this book. 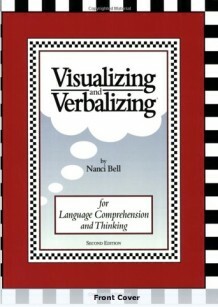 Several years ago I took the Visualizing and Verbalizing course. It must have been a 3 or 4-day course. I didn’t take it directly from Lindamood Bell but from a local agency that was approved by Lindamood-Bell and used Visualizing and Verbalizing in their practice. I was honestly very impressed with V and V. My initial impression was that it tapped into a lot of what I was trying to do with many of my students. Basically it presented me with a better-organized and sequential program that fit my needs at the time. At the completion of the course I wrote a reflection paper, which I feel is still relevant today. Now ironically, the V and V kit along with LIPS (then known as ADD) kit sat on my inherited shelves for years untouched. I seem to remember seeing them collecting dust in various reading specialists offices too. I’m really sorry I didn’t jump on this bandwagon sooner. I also regret not taking the longer LIPS course when I was younger and becoming an expert in it. I think most of the people taking the course with me were just as excited and anxious to use V and V in their practice. The big question came up. How do we write goals for this? All the controversy around goal writing was just starting to heat up and we needed something substantial. As a group we talked about wording and I’m still searching for those notes. What I did find was the handout given to us by the instructor after our group discussion. Keep in mind that the instructor worked in a clinical setting and that these were generated long before schools started requiring some tie in to curriculum. Also in schools we are not suppose to write goals around a specific program. While V and V isn’t mentioned the first one refers to structure words and the second one mentions felts. Student will verbalize the main idea and details of a given picture, word or sentence using 10/12 of the structured words independently and spontaneously. Student will state the main idea of a fiction or non-fiction paragraph 8/10 times. After rereading these, it’s clear that these are more less an objective for each stage of the program. Several years later, I still like V and V and use pieces of it. Visualizing as a skill is being taught more frequently in classrooms than it was even 10 years ago. Schools now have reading specialists that hopefully incorporate some visualizing skill development. I tend to use the program to help expand language, increase vocabulary, help to recognize details/background information and improve semantic/pragmatic understanding. I have specific photos on my IPad that I collected over the years and often use the structured words in conjunction. I sometimes take it down to an even lower level using just one or two of the structure words as appropriate. However, the real question for me is why don’t these very expensive programs come with goal suggestions that can be used in schools? Why don’t we leave conferences with specific goal language in hand? So often we leave conferences with a lot of background information (sometimes a lot of review) and very little in terms of specifics around implementation. I feel the same way about formal tests; there is so little discussion on test interpretation and what to do about it. I get that we are suppose to use our clinical judgment but a little guidance and a few more examples would be nice. I guess that’s a discussion for another day. Hey if you haven’t tried V and V it’s worth taking the course. As an SLP I’ve never had a chance to use the full kit. However, I would love to be involved with a school or clinic that uses the program on a regular basis. Well it has been awhile since I seriously worked on my blog. In December I left my school position to start a private practice. In July I made it official forming my own LLC called TBS Speech Therapy. I did a little contracting work earlier this year and have firmed up my first consulting gig for the fall. My school year ended without the usual drama and the amount of time I spent on paperwork was significantly less and compensated. Right now work life is good. 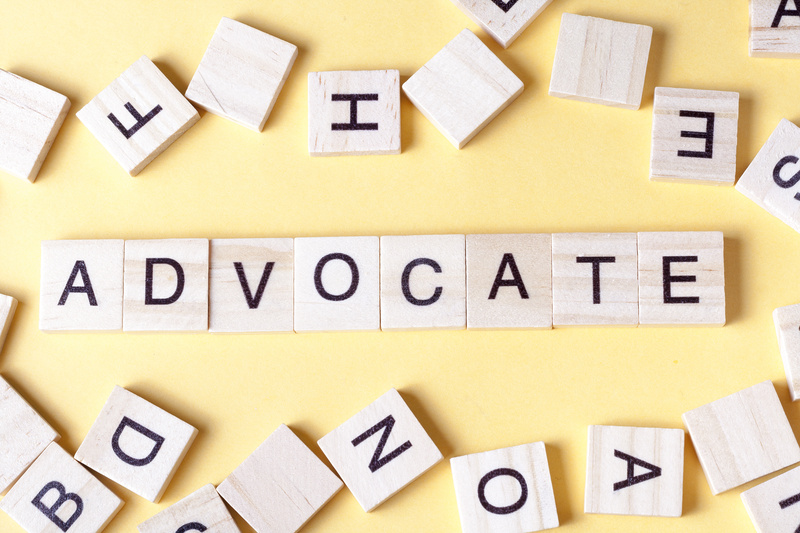 If you follow my blog you know I’ve done a little bit of work on advocacy for SLPs in schools. 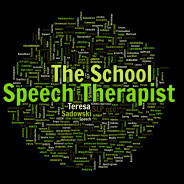 Writing my book, The School Speech Therapist: An administrators guide to understanding the role of the SLP in schools along with strategies to aid staffing, workload management and student success, presenting at ASHA 2016 and writing articles on my blog, has drawn only a little bit of attention but a lot of support from SLPs finding themselves in similar situations. Frankly, I had to give it a rest for a while when I realized that despite my best efforts I was not able to advocate for myself and get results. I was feeling very much like I was hitting my head against a brick wall while burning out at the same time. I reached out to ASHA years ago on the topic of advocacy in schools and didn’t get much of a response. At the time all I saw were articles on caseload management. Honestly, I was a pro at caseload management. I mentioned my concerns to SIG 16 at ASHA 2017 and even that went nowhere. However, ASHA 2016 was the turning point for me. The motivational speaker who presented at the opening get together inspired me to make a change. Now after a nice long hiatus and a fun/relaxing summer, I’m feeling productive again. I want to write and article on why SLPs leave school based positions (and also maybe why they don’t leave). I would love any and all input. I’m pretty sure I know what I’m going to hear but I want to see if there is a pattern. 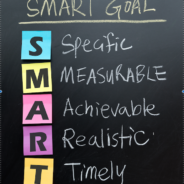 In my state, teachers and all professional staff have to generate personal SMART goals. With all the work SLPs do, the last thing I wanted to do was have to keep complicated data on something I was doing. At that point I decided to do something very easy for me that would benefit all students not just those with language issues. My SMART goal was to write monthly articles focusing on language development. Initially, I found it wasn’t that easy to find universal themes that could be beneficial to all. However, knowing all we know about language and learning once I had a topic writing for parents was easy. I created articles about once or twice a month for that school year. The idea was well received by my principal. Basically it was free content for the school newsletter. Best of all if I published one article a month (sometimes weekly) I achieved my goal without extensive data collection. I’ve slowly made these articles available to other SLPs on Teachers Pay Teachers. Here is my current list of articles available on TPT. These articles are written in a word document so they can be edited to fit the needs of you specific setting. My section of the school newsletter was titled “Notes from the School Speech Therapist.” If I were to introduce this at another school I would probably change that title. 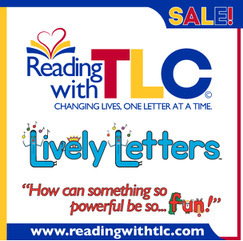 The articles are available in my TPT store. This was such an easy way to achieve my Smart goal. I received some very nice complements from my staff and administrators. It also made my presence in the building more obvious, helped to encourage language and learning beyond the school day and hopefully made parents more aware of what they could do to support their child’s development. I believe the articles were also a universal support that helped with general language development. Better Speech and hearing should be highlighted all year around not just in May. Let me know what you think. I do have other articles to post so please check back often. If you have ideas for articles I would love to hear them. This article was originally published by Teresa Sadowski M.A., CCC-SLP on the now defunct Examiner web site in February 2012. Speech and Language Service Delivery, Be Proactive Parents was written to help parents advocate for appropriate and effective speech and language services for their child. Once your child has been diagnosed with a language disorder or weakness, it’s important to be proactive about service delivery. Asking, “How often will my child be seen by the Speech Language Pathologist?” isn’t enough. The service delivery process begins with the Speech Language Pathologist (SLP) making their recommendation at the team meeting based on testing, progress and your child’s specific needs. Unfortunately, recommendations may also be driven by the school’s schedule, the therapist’s caseload or the school’s philosophy. A typical recommendation might be 1-2 thirty minutes sessions a week using either the “pull out” or “push in” model. In the “pull out” model, your child receives services in a separate small group**** or individual setting. They’ll receive specific instruction and practice in their area(s) of need. School schedules might not be conducive to this model. Sometimes it’s difficult to find half hour blocks where the student isn’t missing something important. Ask the team to explain the schedule to you. Ask when services will take place and what your child will be missing. Some schools have scheduled in a daily block of time that accommodates children who receive special services. During that block of time the other students are free reading, taking an extra elective or working on special projects. This not only helps with scheduling, it keeps the special need student from feeling singled out or from falling behind. If your school has not developed this block of time ask the administration to consider it. Many schools are opting for the “push in” model which means the therapist goes into the classroom. If the “push in” model is recommended there’s a lot more to ask. How many other students is the therapist servicing at the same time in the classroom? Any more than 3 or 4 students and you might begin to wonder if the therapist will have any significant contact with your child. How will the therapist address my child’s specific needs? If you are not satisfied with the response to this question, continue questioning using the proposed goals and objectives as a guide. How much consultation do the therapist and teacher have before and after the lesson? If consult time between SLP and teacher isn’t built in, “push in” will not be very effective. One of the main purposes of the “push in” model is to educate teachers on the language disability and how to implement classroom lesson plans that accommodate a student’s specific needs. Therapists may often recommend a combination of push in and pull out as an appropriate solution. How big is the therapist’s caseload?. In some school systems SLPs are servicing 80+ students. Even a therapist with 30-40+ students is going to have little time to devote to your child. 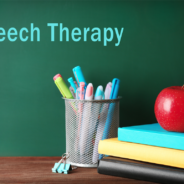 Trained Speech Therapy Assistants are frequently used in schools with large numbers. Just like therapists, some therapy assistants are good and some have limited skills. If a therapy assistant is involved in your child’s programming you need to ask three questions. How much experience does the therapy assistant have? Everyone has to start somewhere but if you have a child with specific and challenging language needs that require flexibility in programing, insist the SLP primarily works with your child. What kind of training does the therapy assistant have? Therapy assistants should either hold a certificate from an accredited program or have undergraduate degree in speech language pathology. How often does the assistant meet and consult with the SLP? In reality they should meet daily to discuss mutual caseloads, that doesn’t always happen. In some states the SLP must be in the building available to observe and supervise the assistant at all times. If you are uncomfortable with the response you receive to this question, ask to see the state regulations. Most schools really do look out for the best interest of their students. And most therapists will answer programming questions with relative ease during the team meeting. However, it is easy for schools and therapists to become overwhelmed or find themselves struggling with limited resources. Develop a good working relationship with your child’s special educational team, check in with their service providers every so often and ask what you can do to help. In the end, your proactive actions will only benefit one person……..your child. ****Also ask how many students will be in your child’s small group. If 4 students are in a 30 minute group, only about 7 of those minutes might be dedicated to your child’s specific needs. 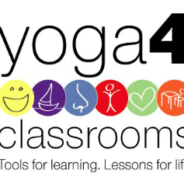 Back in mid-December I attended a one day workshop called “Yoga and Mindfulness in the Classroom: Tools to improve self-regulation, learning and classroom climate” Lisa Flynn, E-RYT, RCYT presented a program that she designed to help bring yoga and mindfulness into the classroom. Not only did she present the concrete parts of the program, Ms. Flynn also did a good job explaining how students could benefit both academically and behaviorally. My motivation for attending was to learn a little bit about mindfulness and incorporate some quick and simple techniques into my therapy sessions. I was actually planning for that to be my smart goal for the year. The initial sequence presented focused on activities that could easily fall under the SLPs scope of practice. One listening activity focused on auditory attention, some breathing and head/neck movements could fall under oral motor, movements that pair up with others could fall under social and another activity focusing on relaxation/imagination is basically visual imagery. I’m sure I could find many more examples. 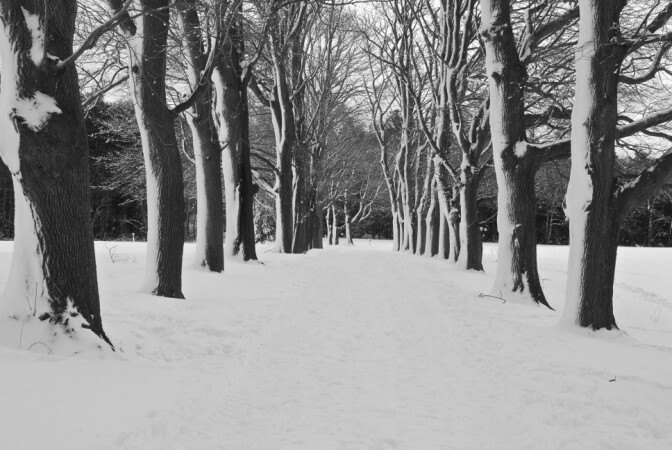 Several of these 1-2 minute sequences would be perfect for speech/language therapy sessions. Yoga and Mindfulness in the Classroom was hosted by PESI. It really was a good bang for the buck. Not only was Ms. Flynn very knowledgeable but she also shared an awful lot of information and the take homes were very complete. If you wanted to implement her techniques on a larger scale there were materials available to purchase. Ms. Flynn has created sets of cards to guide, explain and demonstrate the aspects of her program and I must say they were quite good. If it would up to me, I spend some consult dollars on this program to have Ms. Flynn train the teachers and develop a program that would fit my schools needs. I see this approach as proactive and being able to help in so many ways. I could also envision physical education teachers taking the lead on this to help incorporate this into daily practice. This is a program all kids could benefit from. This could be considered a universal support in schools and foster skill development in so many areas. This was honestly one of the most enjoyable workshops I’ve been to in a long time. I do have to wonder if it was enjoyable because we got to get up and move around. If movement and breathing made the workshop more enjoyable that just proves it works. I’m looking forward to incorporating many of these techniques into my therapy sessions.